You can now earn donations to Veteran Tickets Foundation (Vet Tix) while you shop at fry's! It is easy to set up, you still earn all your points and Fry's donates on your behalf! Just follow the directions below to register your V.I.P. card to the community rewards program and choose Vet Tix as your charity. Once you're enrolled, you will earn rewards for Vet Tix every time you shop at Fry's and use your V.I.P. card. Enter your Fry's V.I.P Card Number, last name and postal code. Under "Select Your Preferred Store" enter your postal code. Choose your store then select "Create Account". Click the hyperlink in your email to finish creating your Online Fry's Account. 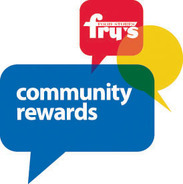 Continue to step #2 to register for the Fry's Community Rewards Program. Select "My Account" then select "Account Settings" from drop down menu. Click "edit" under Community Rewards. If prompted, enter personal information. Under "Find Your Organization": Enter "Veteran Tickets Foundation" or "35614" then select "search"
If you have registered correctly, you should now see our organization information listed under "Community Rewards" on your Account Summary page. Thank you to the donors of these tickets. 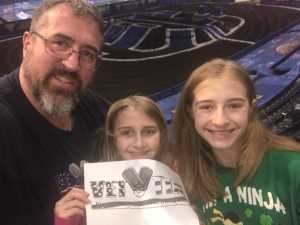 The Monster Truck Jam was a blast. Especially the very nice tribute to those who served which was done at the beginning of the event. The Soldier Fortune driver, Kayla Blood, was the favorite of my daughters, especially as she knocked out pushups in the middle of the arena. 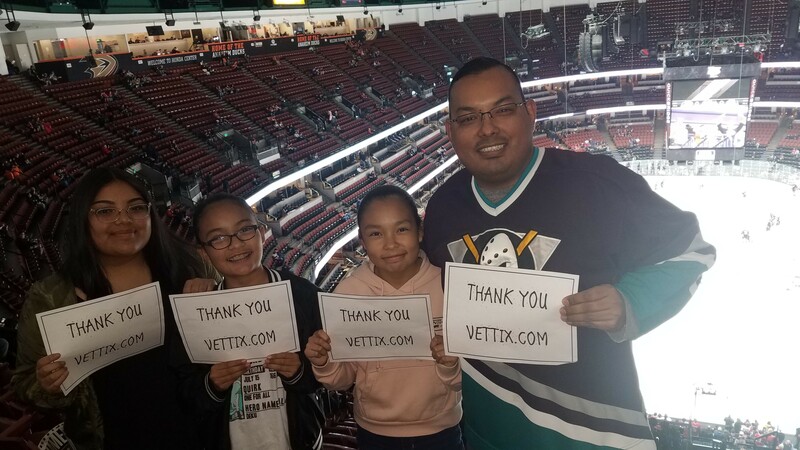 Thank you Vettix, Anaheim Ducks, and all organizations involved from the Medina Family.